You are here: Home / Leadership / Where’s the Respect? Respect is definitely very important to me. In my life as a leader there are two things that I hold close to in my relationship with others and they are respect and loyalty. Let me address loyalty briefly. Loyalty is important in any kind of relationship, because you want to know that that person has your back. Loyalty should not be blind in its purpose, nor should it require one to bend the rules or break the law to demonstrate one’s faithfulness to another – rather loyalty in its simplest form is seen when a person stands by you to support and be an aide with no hidden agenda. This type of loyalty is two-way, in that when one helps the other, the other when opportunities or situations arise remembers the one that was there for them and reciprocates. How often have you found yourself connecting with another leader and out of your growing respect for them and a desire to build a solid and genuine relationship, you open yourself and your network to bless them with opportunities, doors opened, and continuous elevation into new dimensions for their lives, but you never see the same type of loyalty and respect reciprocated? As a servant leader, this is what we are called to do. Our role and responsibility is to selflessly build up others and bless them with our talents and resources and then rejoice in their successes. Yet, even in our willingness to do such, we are human and at times can feel used and abused by those we have sowed into to only realize they are just takers in the relationship. Consider this point, if you want to destroy a leader’s spirit, all you have to do is demonstrate through your actions or lack thereof that you have no respect for them. It is so easy to see when one lacks respect for another. Simple actions as not responding to communication, accepting the blessings one gives and yet never giving back, not affirming or showing acceptance of another or even thinking that your position or title makes you more deserving and above another are just a few types of actions. And not to get all high and mighty, it is important that we understand the other side of this equation in that it is incumbent upon us to earn respect through the ways in which we live and lead others. 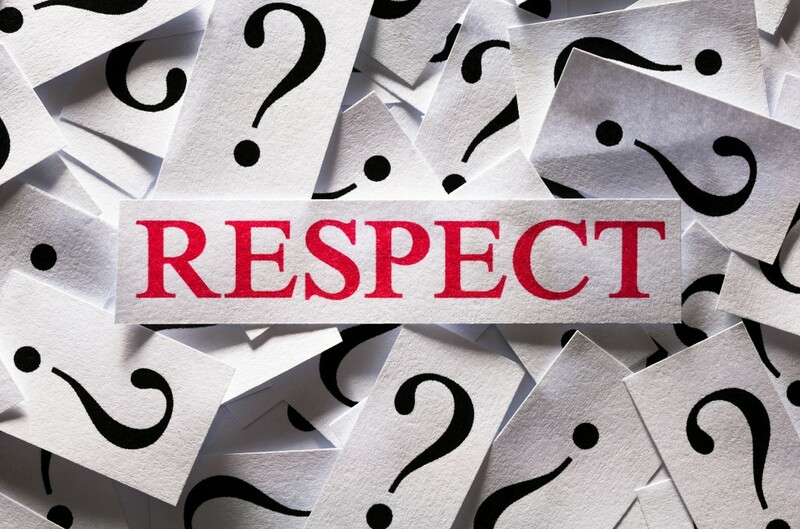 This past weekend I had a conversation with another pastor whose frustrations and cynicism that he was feeling over an ongoing situation boiled down to this feeling of the “lack of respect”. This pastor had come to the place where he has lost respect for the organization, its leaders and ministry members because of how he has been shown little to no respect as a person or in his ministerial office. This pastor is not someone new to the scene. 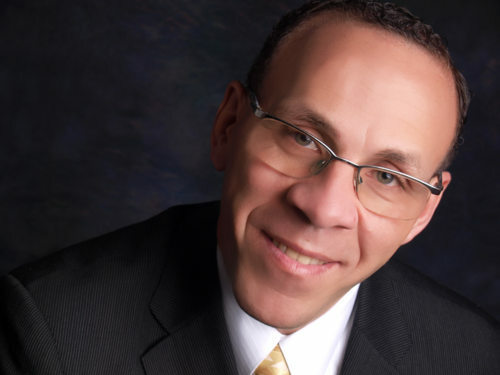 He has served in leadership on national and international boards for other organizations. He is not naïve where he would place these individuals and the organization on a pedestal. Nor does he expect for any of them or the organization itself to be perfect. But he does expect them to exemplify the character and heart of a disciple of Christ. Sad to say, I could identify with some of this pastor’s feelings and emotions as I considered my own ministry and the personal disappointments I have had in interacting with my peers in ministry and not feeling respected or appreciated. But I have learned that I am a servant leader and a kingdom builder for Christ alone. Therefore, in every disappointment I experience, I turn my eyes to heaven and ask God to help me grow through these hurts, frustrations, and hypocrisies. I focus on what I have come to seek in my own life and that is that those who know me best will be the ones who respect me most. I authentically desire that my family, friends, church staff and members, along with my peers in ministry can respect the way I live my life and lead in ministry. 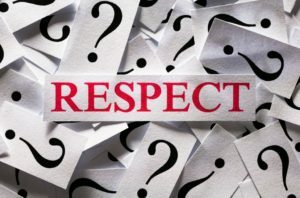 As I reflected on this issue of respect, especially for those of us who lead in ministry, I’ve identified 3 ways we can enhance our own character and earn the respect we seek. First is integrity. This is the one thing that is so easy to give up, yet very hard and at times near impossible to regain. The people closest to us know us best. They see when we are fudging on the truth and being inconsistent in our walk. It is easy to make things sound better than they actually are, but remember, dishonesty is a slippery slope that needs to be treated with severity in our lives. Do not devalue your integrity – without it, you will never earn respect from others. Second is humility. James 3:16 says “For wherever there is jealousy and selfish ambition, there you will find disorder and every kind of evil.” Don’t let your pride and ego direct your path. Remember there is always someone better and more talented then you. Keep yourself humble in your dealings. Do not seek out others and use them for what they can do for you. Because whatsoever you do, that you will reap one way or another. Selfish ambition is so seductive. It strokes our pride and fuels our ego, and it makes us feel significant. But it can be poison to our souls and to our leadership. As James says, it will bring disorder and dysfunction. When I stop being a “servant leader” and it is always about “me”, the people I lead will lose respect. And finally, give instead of take. One of the quickest ways to lose respect is to have an attitude of what can they do for me. Do not look at others as positions and connections, rather as brothers and sisters in Christ. Jesus is our perfect role model, for he always treated people with dignity and personal care. Jesus was interested in the individual. He was not interested in what could they do for him. He never was in the taking mode. It will become apparent what your motive is as you connect with others. If you are only using people for what they can give you, it will be recognized and their respect as well as any relationship will be damaged by such actions. Remember we are called to be servants not master.